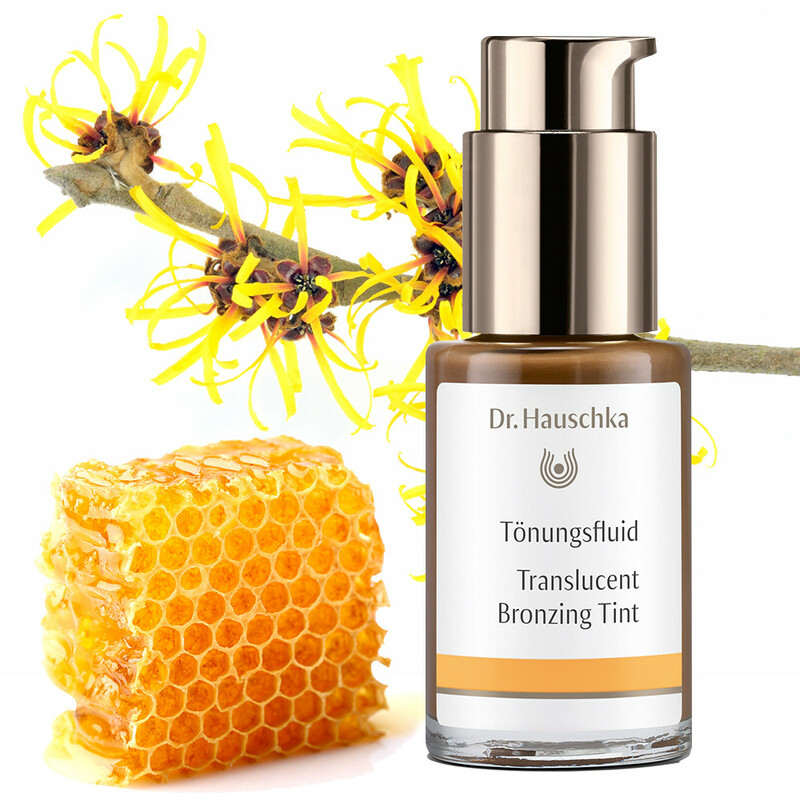 Translucent Bronzing Tint gives you a healthy, sun-kissed glow that can either be applied on its own or with any Dr Hauschka moisturiser. Organic skincare is the best there is for transforming your skin, taking it to the next level of healthiness… however, we can all use extra help getting that wonderful sun-kissed glow! Translucent Bronzing Tint creates naturally healthy, radiant skin, which highlights your natural beauty whilst masking any flaws and evening out skin tone. This is a liquid tint designed to be mixed with any of your face or body creams and applied multiple times until your level of ‘glow’ is established. Naturally created using antioxidant rich plant extracts including antiseptic Witch Hazel, luxurious Olive Oil and soothing Beeswax. Application: Apply by mixing Translucent Bronzing Tint with your day cream in your palm and then applying to your face, neck and décolleté. Reapply to intensify. Tip: For a more intense colour result, you can apply undiluted Translucent Bronzing Tint over your daytime skin care products. The intensity can be adjusted according to the amount of product used. Matching Products: Lightly dust with Silk Body Powder for a matte finish.